Year 2075: Your mission is to suppress the zombies when they rush the barricade. It's a scary time we live in soldier, after the virus was let loose we all lost someone. Now, it's time to save our selves. You are the smartest of the commandos creating a gun that can fire and load quickly. You know your life is at stake because of the zombies. Get ready to protect the last remaining humans. Maybe your back story isn't quit as elaborate as that one. But, whatever story you come up with the Rip Gun will be an essential tool in it. Dress as a futuristic super commando, or maybe a really cool scary bad dude. 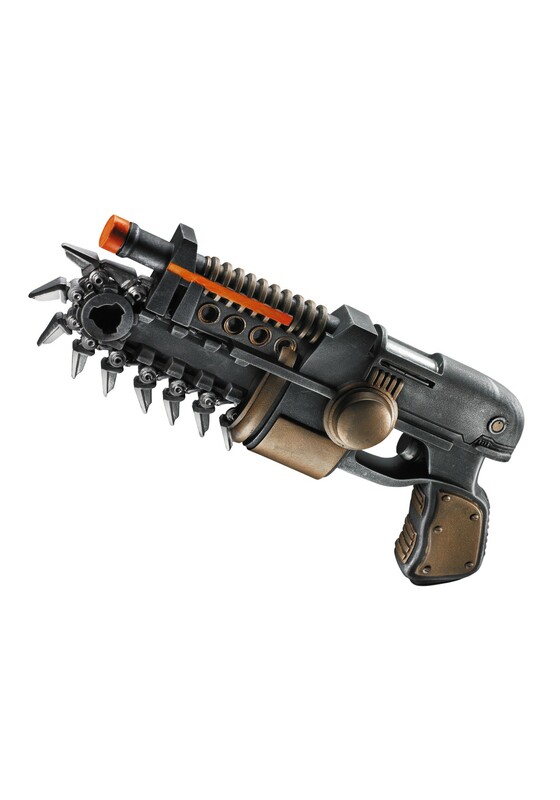 The Rip Gun is 12 inches long, and the chainsaw teeth don't really move. In case of zombie apocalypse you will be the person in charge.